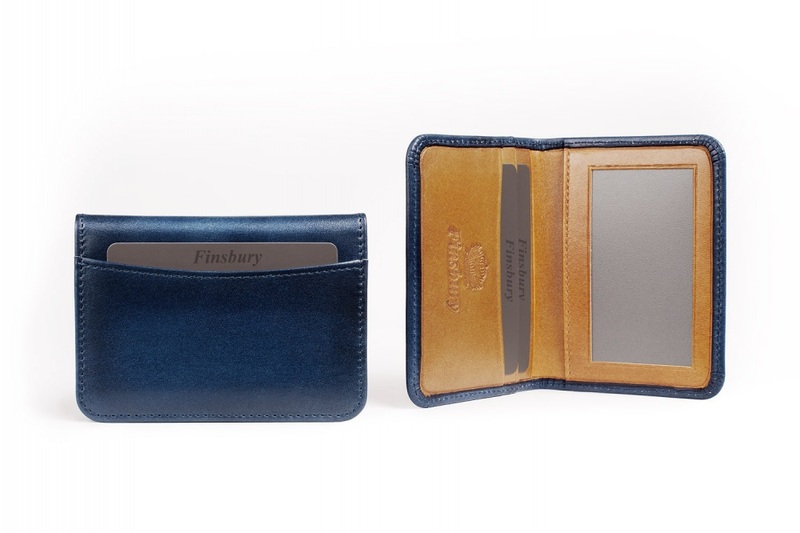 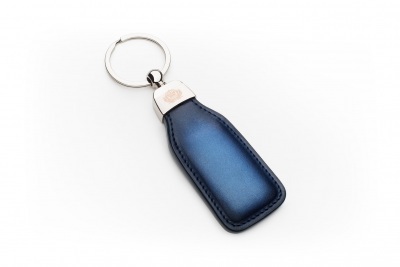 The blue leather card holder, made in Spain, has an entirely handmadepatina, similar to the Finsbury patina shoes. 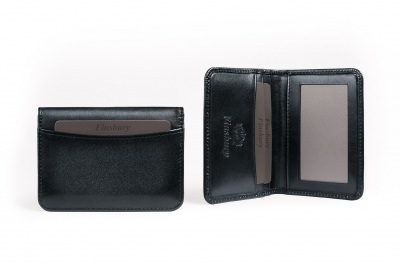 The full-grain calf leather has a beautiful transparency, so the leather is flexible, resistant and will regain all its brilliance with a slight occasional polish. 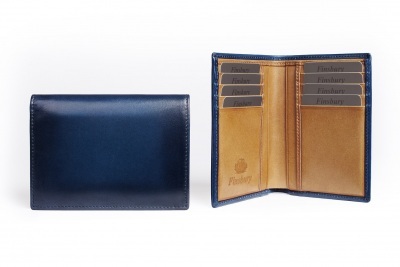 2 card holders, 1 inside transparent flat pocket, 1 inside flat pocket, 1 outside flat pocket.